The number one reason people avoid visits to the dentist is fear. Fear of pain and discomfort. Children are no exception. Finding a dentist in Westerville, Ohio that can foster a sense of trust between patient and practitioner will create an environment that your kids can feel comfortable in. We want to make sure that all of our patients receive the highest quality dental care and build a strong foundation for life long oral health. Each of our treatment plans is custom made to suit the individual needs of our patients. Our staff maintains the highest levels of training and education and our office is always equipped with the most advanced, cutting edge technology available. Our dentist office in Westerville, Ohio can treat children from ages 6 months all the way through adulthood. Our practice is designed to make children of all ages feel welcome and comfortable. We offer a full range of dental services from standard procedures like cleanings, fillings, and tooth extractions, all the way to more advanced treatments such as orthodontics and sedation dentistry. Dental anxiety is a thing of the past with sedation dentistry. We offer a number of different solutions to our patients to make the visit as comfortable as possible. Nitrous Oxide or "laughing gas" can be administered to sedate and calm a nervous patient, and when used in combination with local anesthetic, pain and discomfort is almost completely eliminated. Whether your child needs to have their teeth cleaned or is in pain, our staff is always ready to ensure he or she leaves with a healthy, happy smile. 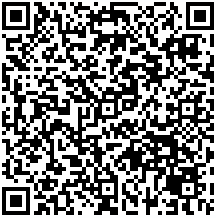 Scan the QR code for our office contact info.